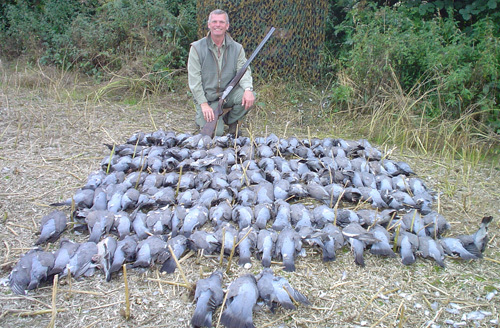 NPPC donated a day's guided shooting for one person as a Lot in a Sporting Auction held by the BASC in Spring this year. There were 120 Lots on the day, including a day's salmon fishing in Scotland, two VIP tickets to The Royal Show, and a day's ferreting for rabbits and rats on a farm in Skipton! Our Lot went for an excellent price which was a success for the BASC, and equally so for the lucky winner Mr Alan Robinson from Lancashire whom you can see pictured below with an excellent bag taken over OSR stubble on 15th August.